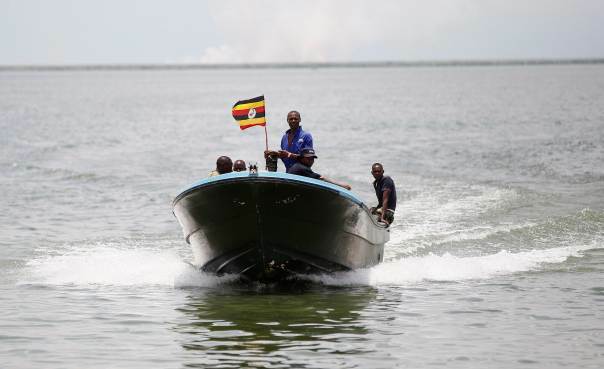 MUKONO – Marine police are searching for five people after a boat they were travelling on capsized on Lake Victoria on Monday evening. The boat was transporting about 10 passengers from Bukasa Island in Kalangala District to Mukono District at around 5 pm when the boat hit a rock near Nkese Island and capsized, throwing occupants in the water. Mr Lameck Kigozi, the southern regional police spokesperson, said five of the occupants were rescued while five others are still unaccounted for. “Five of the victims were rescued by the fishermen who were on the lake doing their normal business. Five other people are still missing, but a joint search is on by our marine personnel and local fishermen to see if we can get them alive or their bodies,” Mr Kigozi said in a telephone interview on Wednesday. According to witnesses, the boat was overloaded with merchandise such as charcoal. “We are also investigating allegations that the accident could have been caused by overloading as survivors claim that the boat was overloaded with charcoal,” he added. Mr Willy Lugoloobi, the Kalangala District chairperson, said the ill-fated boat was smuggling charcoal to neighbouring Kenya and all the 10 people were not putting on life jackets. “Our people have failed to appreciate that life jackets are for their own safety, we thank God that at least five of them survived,” he said. Statistics from Lake Victoria Basin Commission reveal that 5,000 people die yearly in Lake Victoria as a result of drowning. Water transport on the lake is risky between January and March and July and August due to the strong winds and turbulent waves on the lake and water transport users are always advised to wear life-saving jackets.